Princess Cruises today announced its 2020 winter program from Australia. The program will see both Sun Princess and Sea Princess sail on 36 itineraries to 90 destinations across 38 countries with roundtrip options from Sydney, Brisbane, Auckland, Perth (Fremantle) and Yokohama. Highlights include the return of Princess Cruises’ 77-night Circle Pacific itinerary, back by popular demand following a three-year hiatus, a 106-night World Cruise that touches every continent on the globe with the exception of Antarctica, and a variety of destination rich itineraries ranging from 2-35 night, the company said. The Sun Princess’ 77-night Circle Pacific cruise featuring more calls to Japan than ever before with sailings to Osaka (for Kyoto), Toba, Tokyo (Yokohama) and maiden calls to Hakodate and Kushiro. The itinerary also offers access to seven UNESCO World Heritage sites including Mt. Fuji, and the iconic temples and shrines of Kyoto and Nara. Sailing roundtrip from Sydney on April 15 2020, travellers will be transported through Asia and then north to Alaska on an itinerary showcasing a range of new ports including Alotau in Papua New Guinea, Kodiak and College Fjord in Alaska and Monterey, and Santa Barbara in the US, as well as additional maiden call to Prince Rupert in Canada and 11 late-night calls and overnight stays in Vancouver and San Francisco. Fares for the 77-night Circle Pacific voyage departing Sydney on Wednesday, April 15, 2020. The Sea Princess will embark on a 106-night World Cruise with roundtrip departures available from Sydney, Brisbane and Auckland. Calling into the Arctic Circle, guests will literally sail from the bottom of the globe right to the very top, touching on all continents except Antarctica. 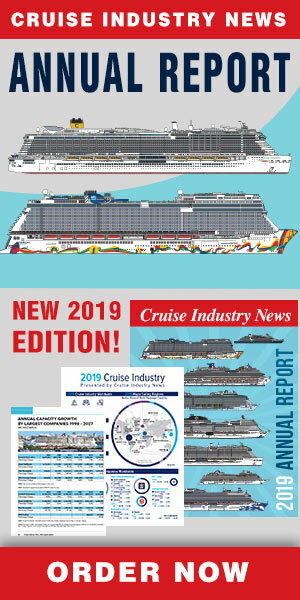 The global circumnavigation will visit 41 ports across 27 countries and introduce new world cruise contenders including Sibenik in Croatia, Ceuta in Spanish Morocco and Isafjordur in Iceland, as well Bergen and Geirangerfjord in Norway.